These are some take-aways from the article which is shown below. Information regarding Rheumatoid Arthritis from Johns Hopkins. Note to MSers: You CANNOT use the biologic drugs in fighting RA due to increased occurrence of demyelinating diseases seen. Alan Moore was 52 years old, teaching statistics at the University of Wyoming, playing the violin in the university’s symphony and accompanying soloists on the piano when his health took a nosedive in April 2001. Doctors diagnosed it as rheumatoid arthritis. “And I thought that my life as I knew it was over,” said Mr. Moore, now 59, of Laramie, Wyo. But by enrolling in a clinical trial of one of the drugs and drug combinations that are revolutionizing the treatment of the disease, Mr. Moore got his life back. Rheumatoid arthritis is the world’s most common autoimmune disease, striking up to 1 in 100 in the course of a lifetime. It is most often diagnosed in people ages 30 to 60 but it can occur at any time, including childhood. As with other autoimmune diseases, women are three to four times likelier than men to develop rheumatoid arthritis. About 80 percent of Caucasians with the disease have a genetic marker, a gene sequence in the HLA-D region of chromosome 6 that is found in only about 35 percent of the general population. The disease causes chronic joint inflammation and progressive destruction of the cartilage at the ends of bones, which can result in an inability to use the affected joints. Other effects include fatigue, malaise, anemia and damage to organs throughout the body, including the cardiovascular system. Untreated, 20 to 30 percent of people become permanently disabled within three to five years of diagnosis. Life expectancy may be reduced by as much as 15 years, with half of patients succumbing to cardiovascular disease. Doctors traditionally treated the symptoms of rheumatoid arthritis, usually with anti-inflammatory and pain-relieving medications. But the underlying destruction of tissues continued, leading to chronic disability and premature death. The goal today is suppression of the disease and prevention of progressive joint destruction by treating patients early with synthetic or biologic agents called disease-modifying antirheumatic drugs. 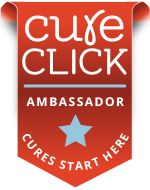 Though he did not know it at the time, Mr. Moore was randomly assigned to the study group that every two weeks self-injected a biologically derived drug called Humira, which acts to block a protein involved in the inflammation associated with rheumatoid arthritis. Humira is one of six federally approved biologic treatments for the disease. Three other biologic remedies are nearing approval by the Food and Drug Administration. “Within days my symptoms declined to nearly zero,” Mr. Moore said, “and I’ve had no symptoms since.” He has continued the injections of Humira and participates in a registry of patients to help assess the drug’s long-term benefits and potential risks. The costly biologic drugs are often used in combination with much cheaper synthetic disease-modifying drugs taken orally, like methotrexate. In some cases, oral medications are all that patients need to keep symptoms and joint destruction under control. But well-designed clinical trials have typically shown that in patients facing moderate to severe disease, combining the treatments often results in fewer symptoms and less destruction of joints, especially if therapy begins early. In a study published July 16 in The Lancet, researchers in Leeds, England, reported that among 542 patients randomly assigned to receive either methotrexate alone or in combination with Enbrel, another biologic agent, those receiving the combination were almost twice as likely to become symptom free and more likely to show no X-ray signs of progressive joint destruction a year later. In a commentary with the Lancet report, Dr. Joel M. Kremer, a rheumatologist at Albany Medical College, said it was important to consider the long-term consequences and costs of the disease when deciding how much to spend on therapy. “Most of the biologic agents cost in the range of $16,000 to $18,000 a year, whereas the oral medications cost only about a tenth that,” Dr. Kremer said in an interview. But, he added, inadequately treated rheumatoid arthritis typically leads to a need for multiple joint replacements, lost productivity, lost tax revenue and a greatly diminished quality of life, as well as an increased risk of life-threatening infections and cardiovascular disease. Before the use of disease-modifying drugs, direct medical costs from rheumatoid arthritis were estimated at $5.5 billion, and that did not include the indirect costs of lost wages and productivity, the need for custodial care and the emotional and social consequences of chronic disability. While not everyone with rheumatoid arthritis responds to the new treatments as vividly as Mr. Moore did, many large studies have shown there is no longer any reason for pessimism about the diagnosis. But it is vitally important to begin treatment early. The recent therapeutic developments, Dr. Kremer said, mean doctors in general practice need to remain alert to symptoms of the disease in its early stages and quickly refer patients to rheumatologists who can confirm the diagnosis and prescribe up-to-date treatment before irreparable damage to joints occurs. Treatment is most effective if begun within one year after symptoms appear. There is no one treatment approach that works for everyone. Rather, studies have indicated that treatment should be tailored to individual patients: the nature and extent of their disease, their other health issues and how they respond to various therapies. Dr. Kremer said many patients could be started on a single, low-cost drug like methotrexate, as long as their condition was closely monitored and the treatment adjusted if there are signs of progressive disease. Regular exercise and physical and occupational therapy, along with medication, can help patients maintain function. In addition to antirheumatic drugs to reduce inflammation, Dr. Kremer recommends fish oil at a daily dose of 2 grams of EPA and DHA — about six capsules as they are currently formulated. It was good to open up your blog and read about RA--suprised me, but I appreciated it. 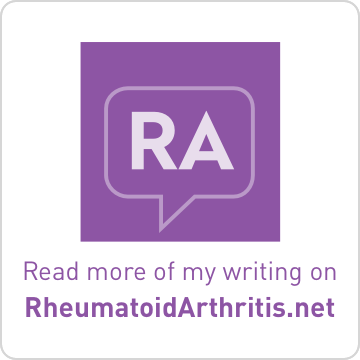 I haven't gotten into reading blogs about RA like I am with MS. 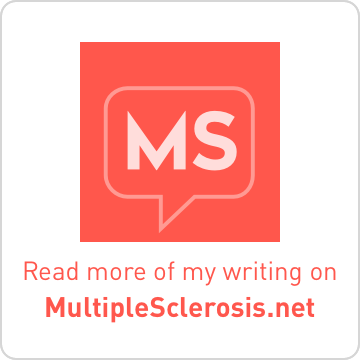 Probably because I feel I have so much to learn with MS---That's not to say I don't need to learn more about RA as well, but I haven't ventured into that as much. 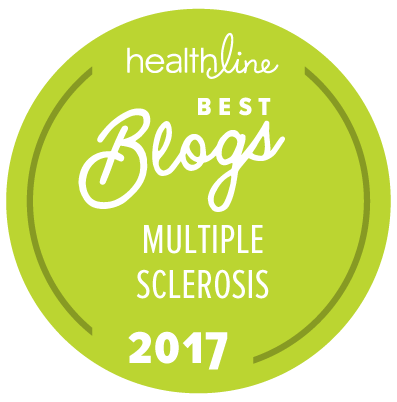 For anyone else struggling with RA as well as MS, the drugs that were identified that I could use were Orencia and Rituxan. Before those two I had been on Enbrel and then Remicade. Then was diagnosed with MS. The million dollar question is did one on those drugs cause ( or as I look at it open the lock) for MS. Just one more thing to add to my list of unknowns. I was very interested in the amount of fish oil he said to take. I will go look at my bottle, but I think I'm quite short I only take 2 capsules? How many others are out there dealing with RA & MS?? Yeah, I don't take that much fish oil either. It usually makes my stomach hurt just a little. But I really should try to incorporate more. I hesitate to talk about the RA too much because I kinda feel on the outside, looking in, not being able to try or discuss the RA drugs. I simply use methotrexate (25mg, once/week) and sulfasalazine (1000mg-1500mg daily), plus folic acid to protect myself from the methotrexate. I also tried plaquenil, but REALLY didn't like it at all. BTW, I know that Anne of Disabled Not Dead has both MS and RA. I think there was somebody besides us, but I can't think of who that is right now. PS. Did you notice the new Health Central stuff? Maybe I'll be able to talk a little about RA with MS.